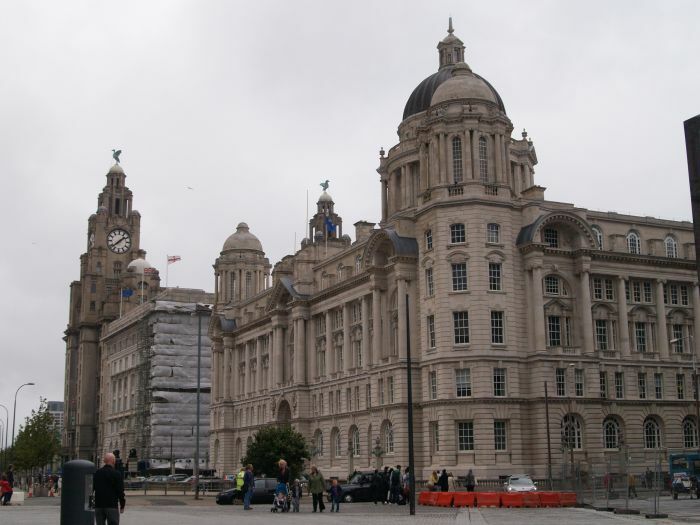 The Pierhead area on the banks of the River Mersey is dominated by three ambitious buildings representing the great Imperial Edwardian optimism of the early 20th century. 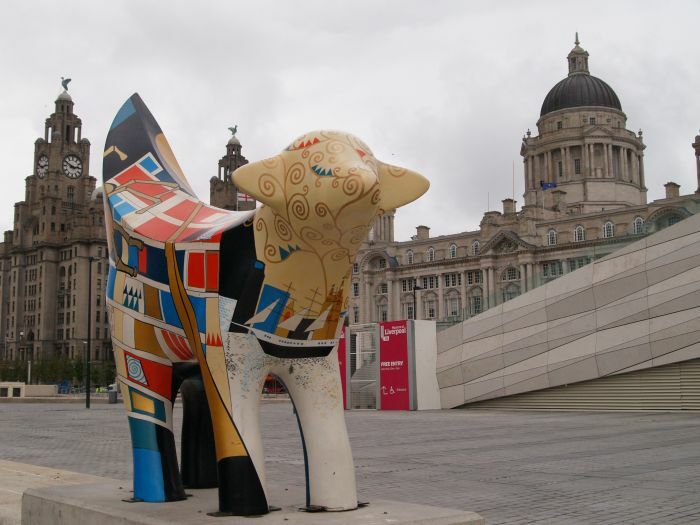 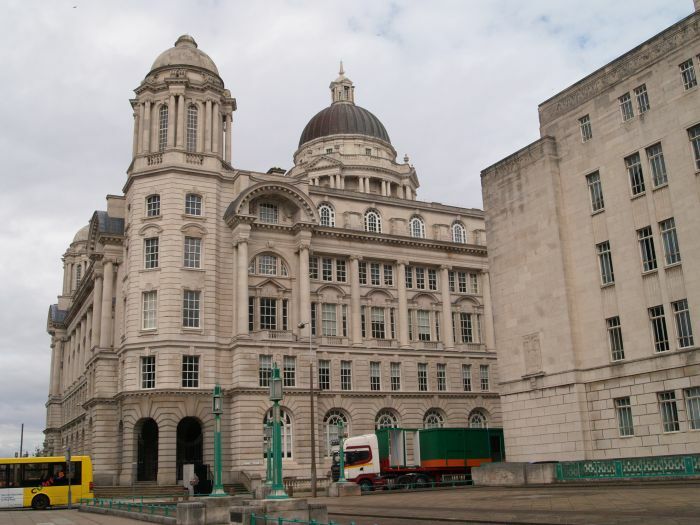 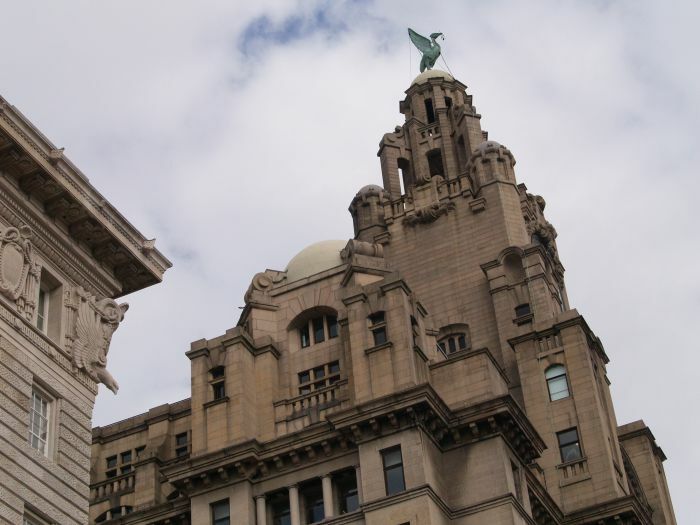 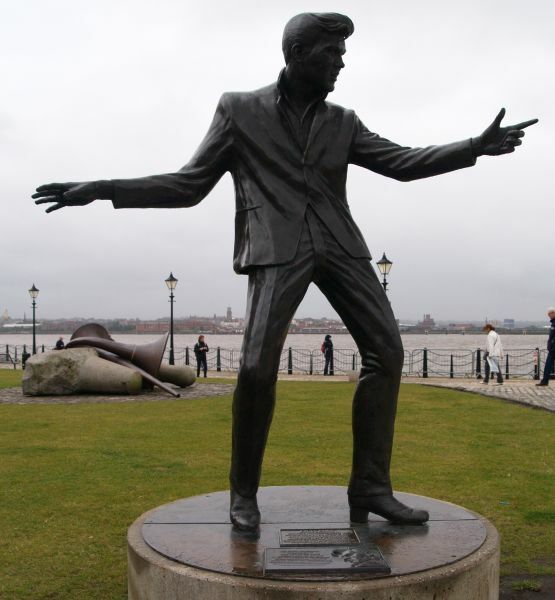 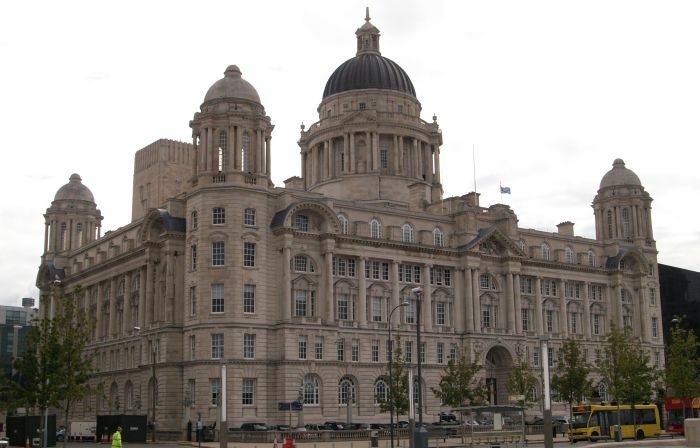 The three magnificent pieces of architecture are known as the 'Three Graces' buildings, namely (i) The Royal Liver Building, (ii) The Cunard Building and (iii) The Mersey Docks and Harbour Board Offices. 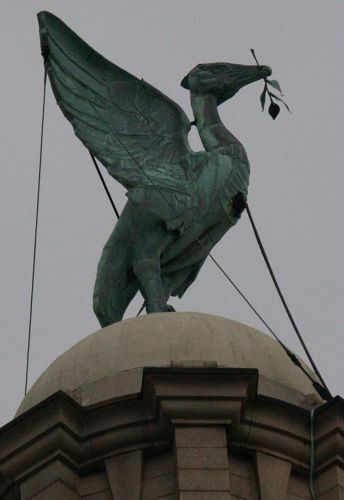 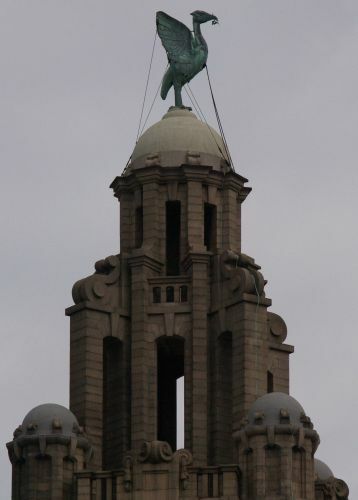 The Liver Birds on top of the towers of the Royal Liver Building. 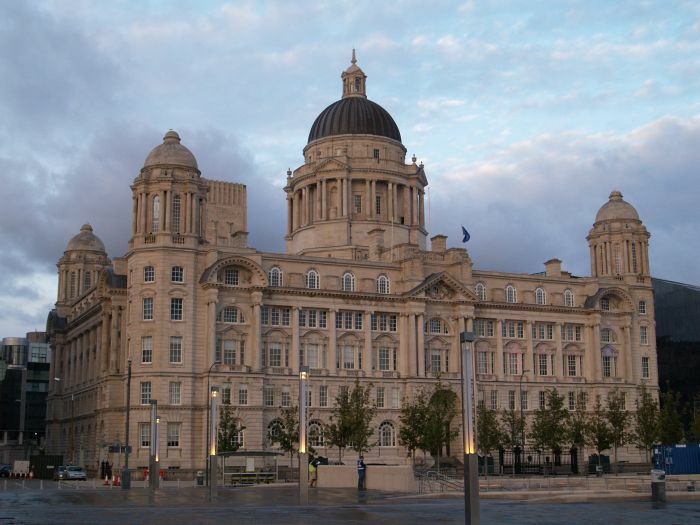 The Royal Liver Building built in 1908-1910 by W. Aubrey Thomas. 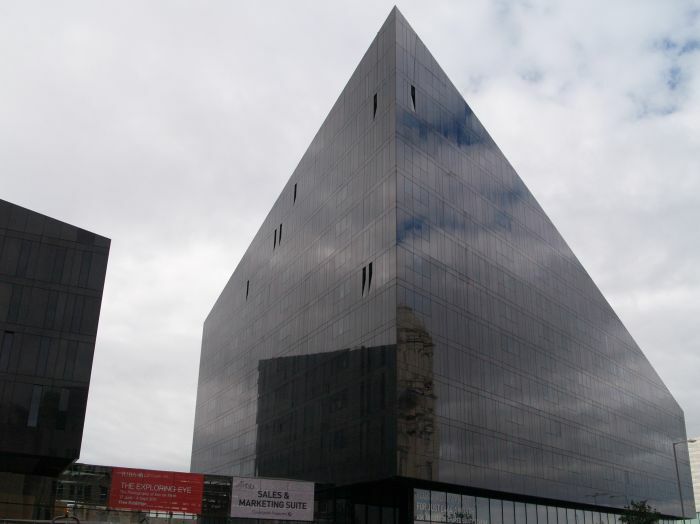 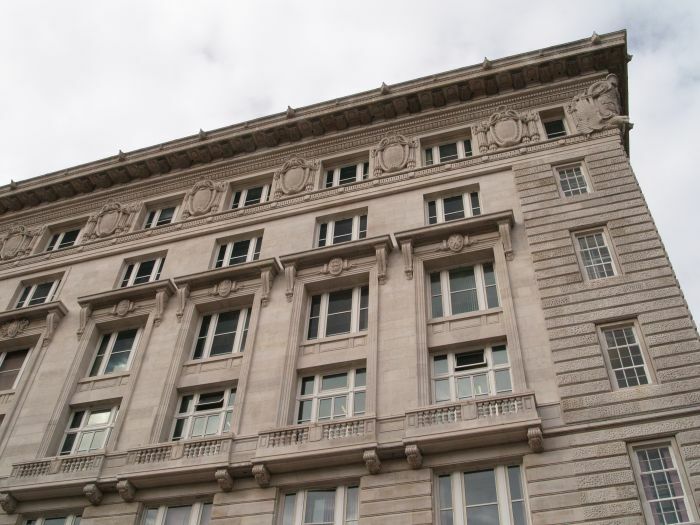 It is constructed of reinforced concrete (early use of such material) ands tone and eight storeys high. 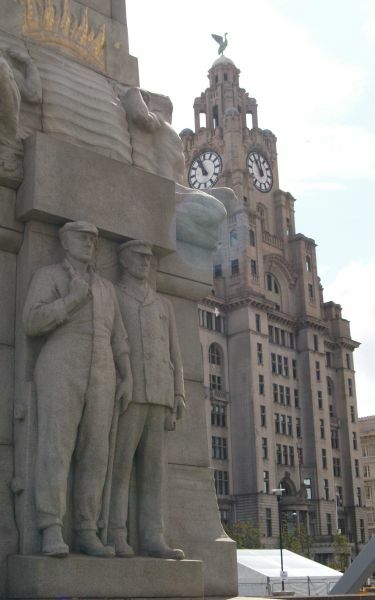 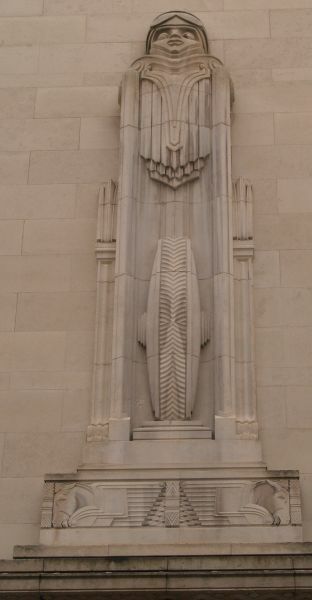 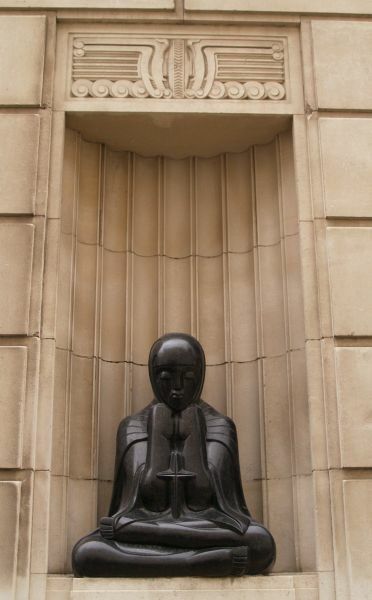 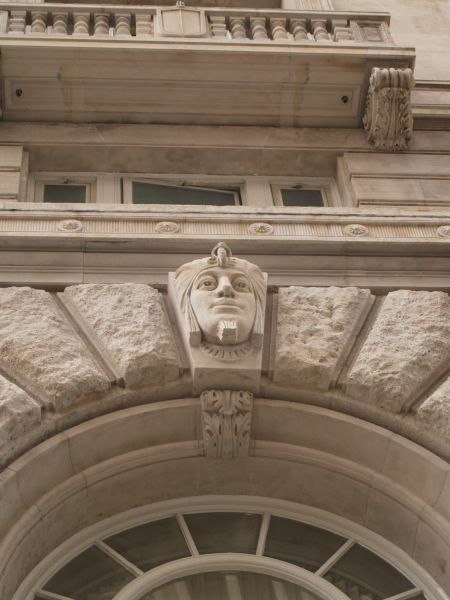 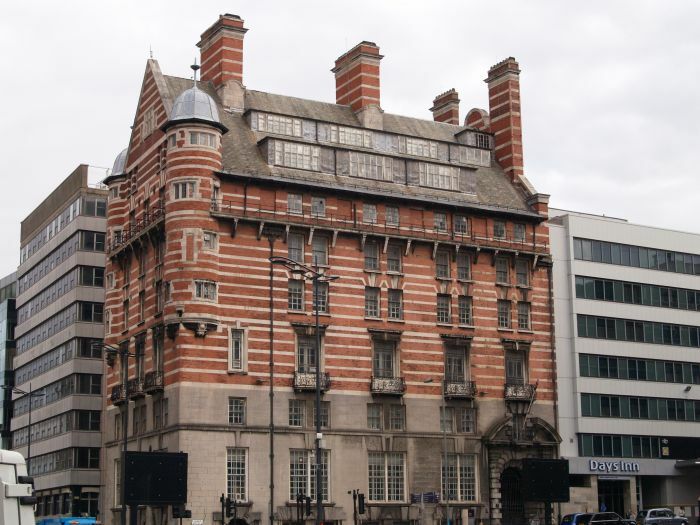 The Cunard Building is a great square block with sculptural features relatively small and neat. 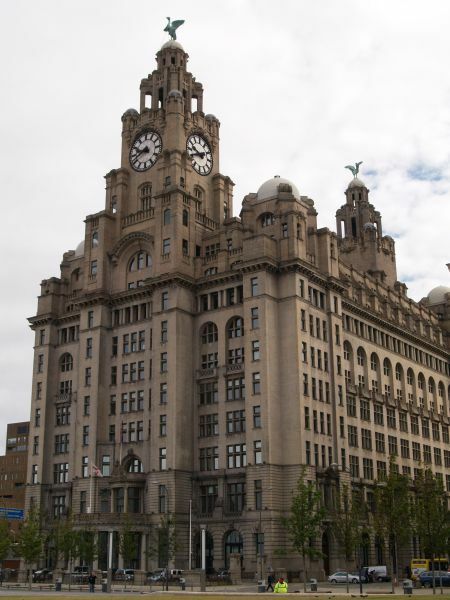 The frame is reinforced concrete and was begun in 1913 and includes some neogothic detailing. 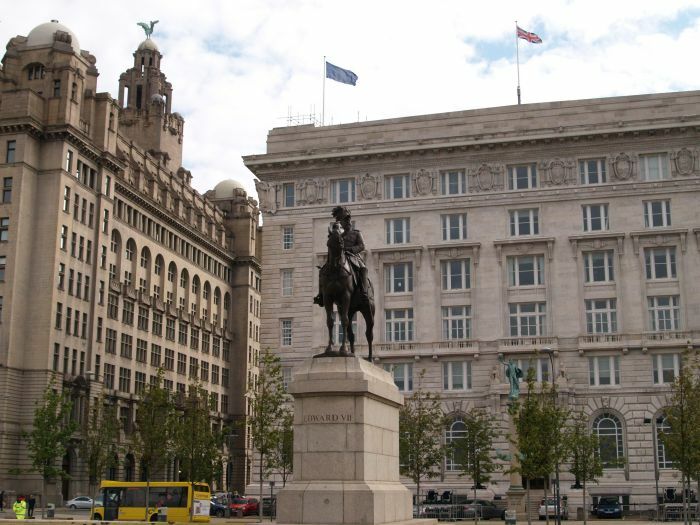 In front is the equestrian statue of Edward VII by Sir W. Goscombe John. 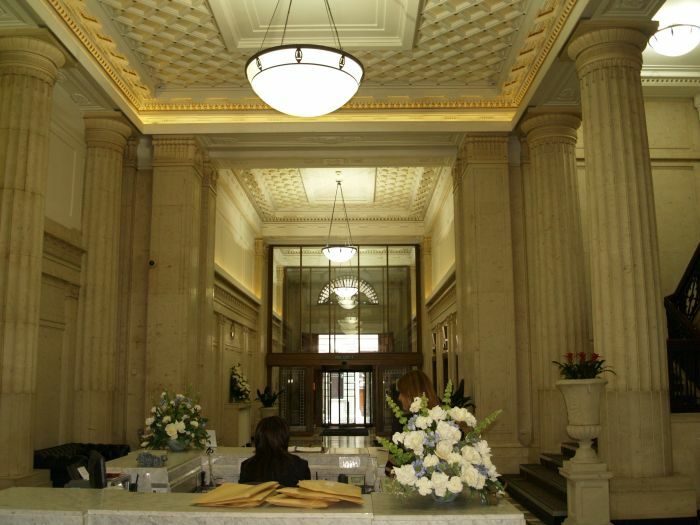 The Cunard Building - the interior of the foyer. 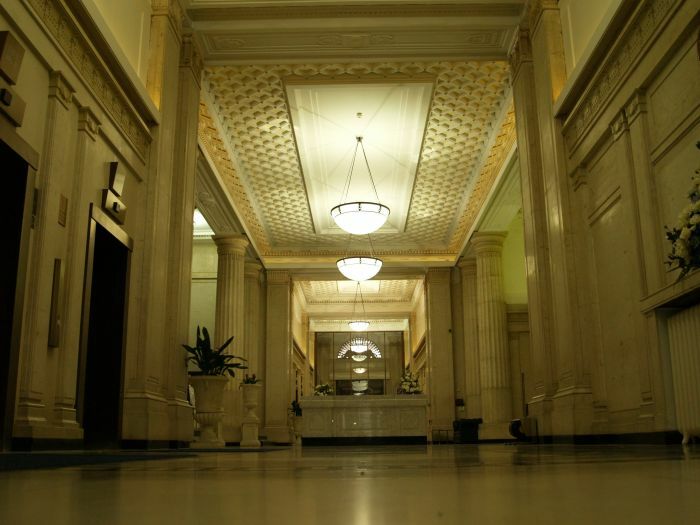 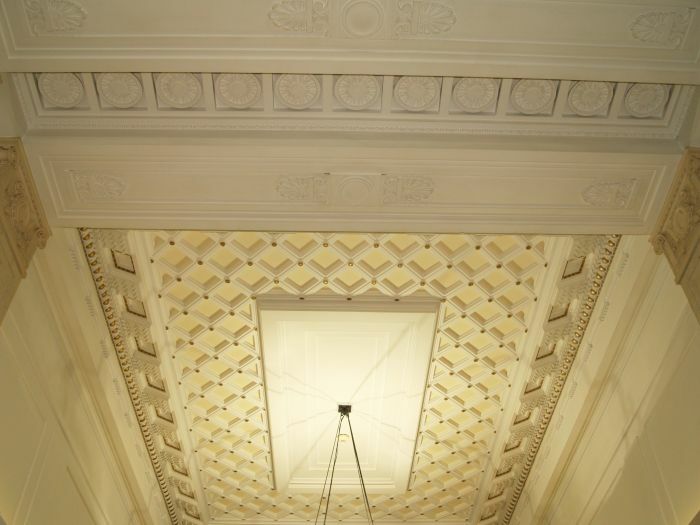 The Cunard Building - ceiling of the foyer. 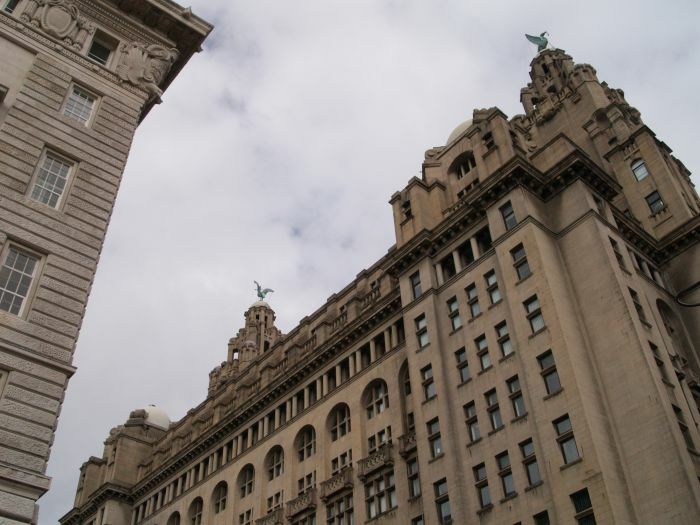 The Cunard Building - the fine columns! 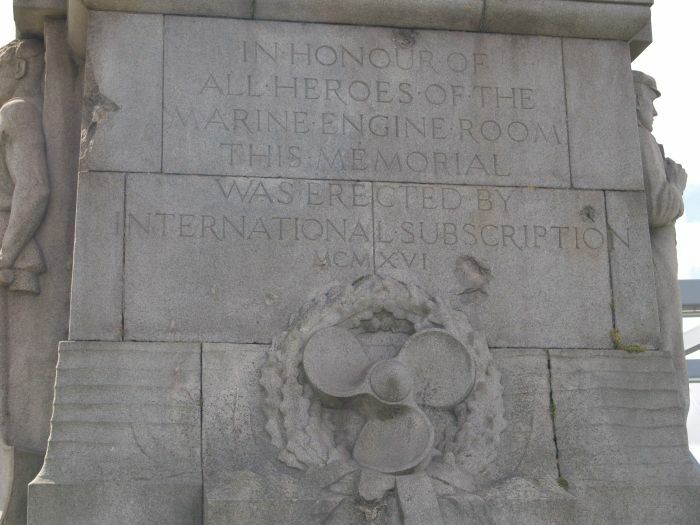 The memorial 'IN HONOUR OF ALL HEROES OF THE MARINE ENGINE ROOM' This memorial was erected by international subscription. 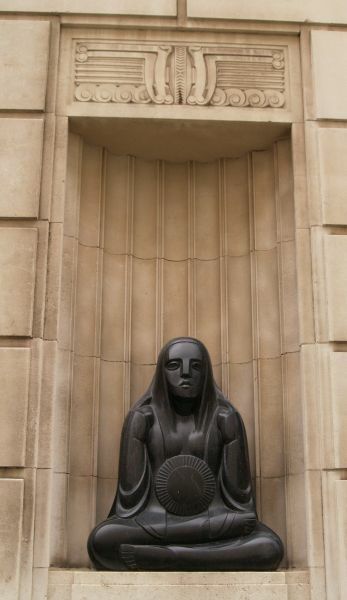 The sculptor was Sir W. Goscombe John. 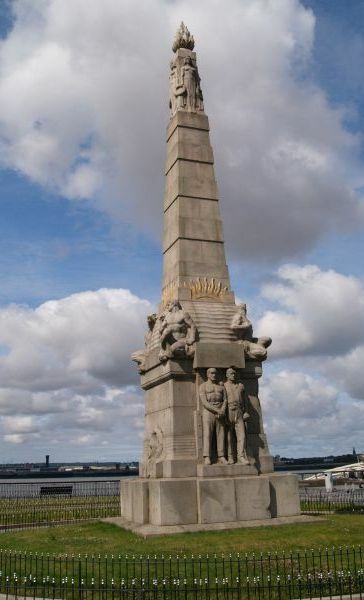 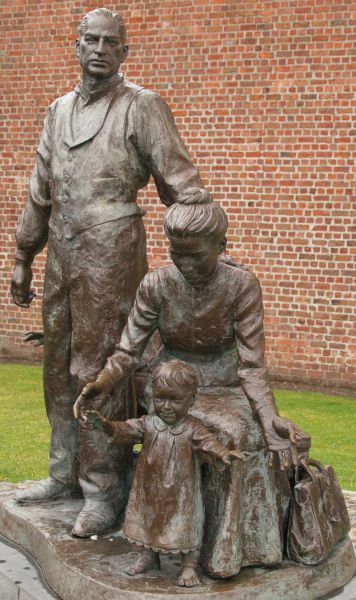 The memorial statue sculpture to captain F. J. Walker CB DSO Royal Navy 1896-1904. 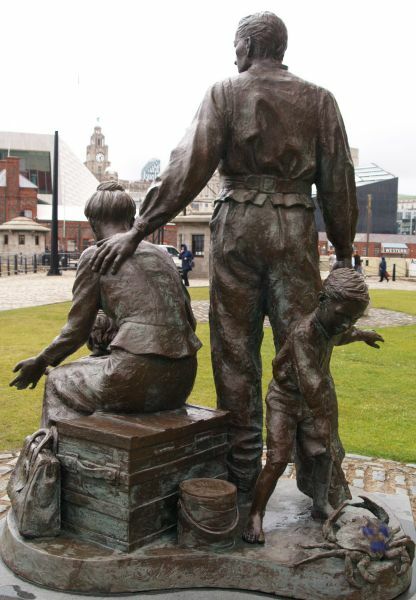 St George's Dock Way L3. 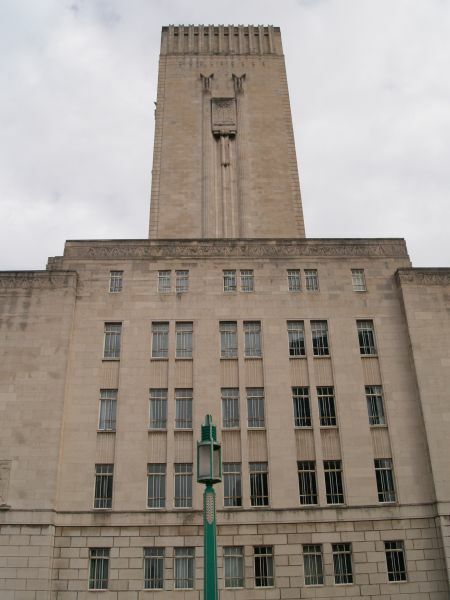 The North John Street Ventilation Station - the massive building of one of the air extraction system for the first Mersey Tunnel built between 1925 and 1934 by the engineers Sir Basil Mott and F. A. Brodie and the architect Herbert J. Rowse.